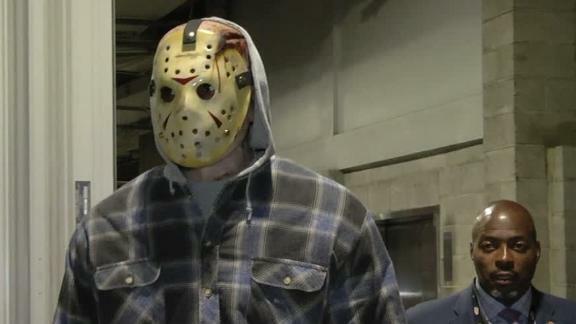 LeBron James walks into Staples Center on Halloween dressed as Jason Voorhees. With Halloween falling on a Wednesday night with seven NBA games, players from across the league showed off their creativity with a full range of costumes. Here's who entered the arena in style.